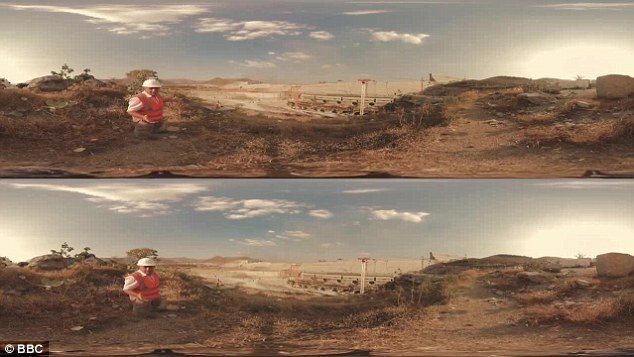 The BBC will launch its first virtual reality news documentary today, giving viewers the power to point the ‘camera’ where they want. 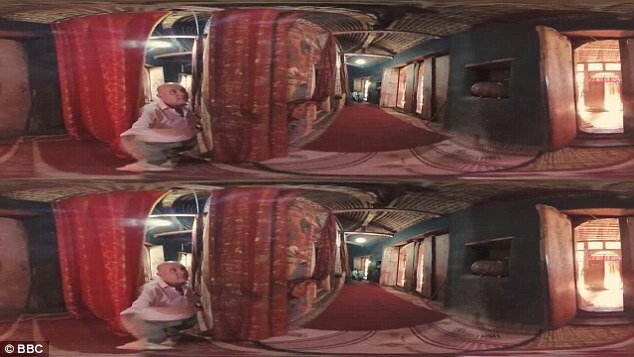 Audience members watching Damming the Nile VR through a special virtual reality headset will feel as though they are at the heart of the action without ever leaving their chair. They will be able to direct the camera through 360 degrees simply by turning their head. This gives viewers the ability to examine peripheral details, such as birds overhead. Presented by the BBC’s Africa Correspondent Alastair Leithead, the programme will follow the continent’s longest river and examine the fallout of a controversial damn being built in Ethiopia. But instead of a traditional BBC report, Mr Leithead effectively invites watchers to take a virtual trip with him. Viewers feel like they are part of the production crew as they squeeze in among the crowds on a busy tram or go on a virtual hot air balloon ride above Egypt. At one point, Mr Leithead offers viewers a glass of water as they sit around sharing a meal in a restaurant. He said: ‘The story-telling is not like TV and it’s not like radio. It’s a bit of both. The project is part of a scheme to pioneer virtual reality television in the same way the corporation did with colour television in the late-1960s. The BBC has pledged to make a small number of VR shows to ‘get people excited’ about the potential and to help kickstart Britain’s VR industry. However the content must be tailored to the devices of different technology companies. 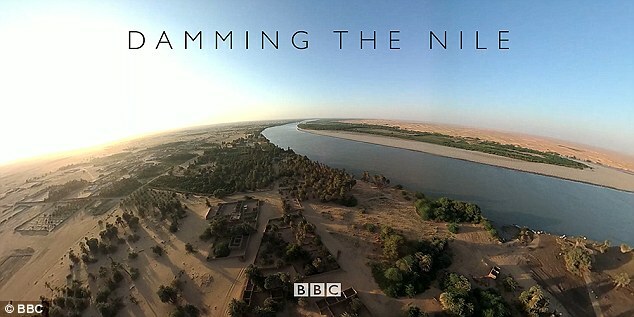 To watch Damming the Nile at its best, viewers must download the BBC VR app on a Samsung phone and use a special headset costing at least £40. They can also watch it via YouTube on an iPhone using a cheap cardboard headset. Last edited by Blackleaf; Feb 21st, 2018 at 09:10 AM..